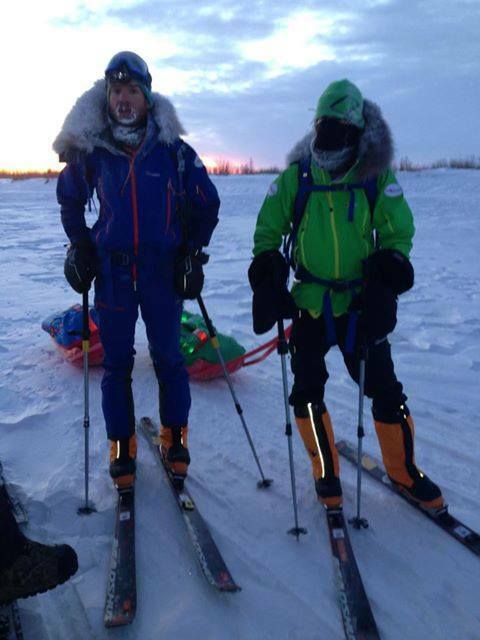 John Cantor and Evan Howard make a brief stop in the village of Noatak during the first few days of what is expected to be a two-month, 1,700-kilometer traverse of the Brooks Range. Among the intriguing expeditions currently underway is two skiers’ attempt to cross Alaska’s Brooks Range during the winter. John Cantor and Evan Howard, both from Australia, are attempting to ski from Kotzebue on Alaska’s west coast to Kaktovik, a tiny village on the north coast near the Canadian border. The 1,700-kilometer journey is expected to take two months. The Brooks Range is so remote that during that entire distance, they will only pass through two villages and cross one road. The range will be teeming with hundreds of thousands of caribou, as well as Arctic foxes, musk oxen, moose and lynx, but very few humans. Their journey began on January 7, a day when the sun didn’t rise at all. This is the first known attempt of a full traverse of the Brooks Range during the winter. The Australian duo planned resupply stops in Anaktuvuk Pass, the Dalton Highway, and a few other locations via snow machines. 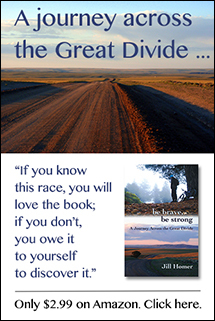 In between resupplies they will be self-supported, dragging sleds and traveling by ski, for the length of the journey. Cantor has completed a summer traverse of the range, after several years of failures. Living in Australia, he had no experience with Alaska and relatively little experience with wilderness travel in general when he first started his quest to cross the range. Information about the region was difficult to find, and thorough trip planning was difficult. John Cantor training for the cold in the midst of a hot Australian summer. In 2012, Cantor returned to Alaska, wiser and more determined. Despite mounting Achilles tendon pain on top of the usual difficulties with weather and terrain, Cantor finished his first Brooks Range traverse in 31.5 days, setting a speed record in the process. The next challenge, he decided, was to attempt a crossing during the winter — when daylight is rare commodity, storms can reach hurricane force without warning, and temperatures can drop to 60 below zero. Now a week into their journey, the Australians continue to make steady progress up the Noatak River, which Cantor last traveled downriver in a packraft in the summer of 2012. Temperatures continue to hover in the minus 30s Celsius, but skies have been clear and winds relatively light. Learn more about expedition at Cantor’s Web site or follow along with updates on Facebook. Tracking for the journey is available at this link.